How Do We Feel About Decorative Puddle Lamps On Fancy Cars? 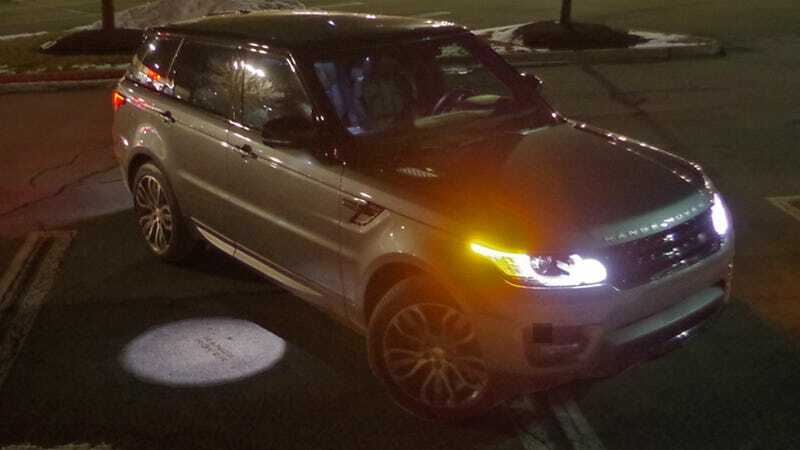 The 2014 Range Rover Sport throws this pompous batsignal on the sidewalk every time you unlock it. I think it's great Land Rover can still think up ways to tell plebeians I'm better than them. My girlfriend says it's more embarrassing than my matching Land Rover socks and belt. What do you think? Throwing light on the side of a vehicle at the click of a remote switch is actually pretty convenient. But is getting the car logo involved a little... douchey? Land Rover's not the only company experimenting with this. I know I saw it on the 2014 Lincoln MKC, I bet Lexus is onto it as well. A closer look, in case you can't tell the spotlight in the top shot says "RANGEROVER:"
Once we've established if it's cool or crappy we must discuss if pretty puddle lamps are a passing fad or here to stay in the luxury market, to eventually trickle down into cheap cars via the aftermarket.